MyBinding.com has a new product line called linen foil printed covers. Convey an image of professionalism by adding a foil printed logo on these regency leatherette covers in one of six differenent foil colors and two foil finishes. 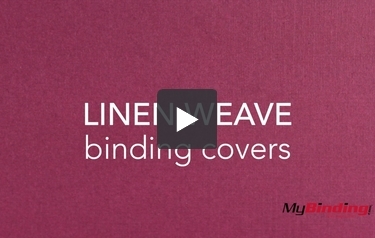 MyBinding.com offers a line of linen covers with windows prepunched on the front. These covers allow your presentation to speak for itself. Windowed covers are available in 10 different colors and a variety of sizes.